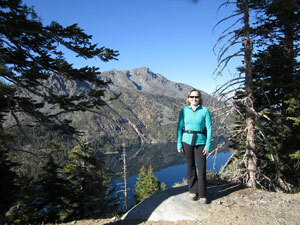 Molly has been a Lake Tahoe resident since 1981 and a full time, Real Estate professional since 1987. She and her husband have raised their family here and she truly enjoys Lake Tahoe’s unlimited recreational opportunities and healthy environment. Her solid history of leadership, community involvement and in depth knowledge allows her to be a wealth of local information to share with her clients. With excellent communication skills, a personal touch and a strong ethical commitment, Molly values establishing long term relationships with her clients and serving as a resource for all of their Real Estate needs. She is proud that a large part of her business is through referrals from her clients and friends.